Case Study—After discovering that there were over 25 projects going on in various business units in the company that involved children as end users, and that most people had a limited understanding of children's play, the researchers proposed a multi-cultural ethnographic project called ChildsPlay. 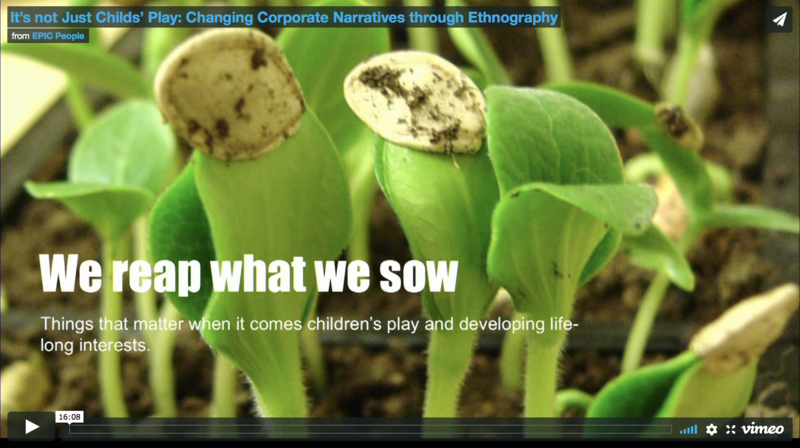 This case study illustrates the many ways that a well-planned ethnographic study can influence the trajectory of a company's culture, highlighting institutional challenges, describing the ethnographic methods and theoretical underpinnings that guided the research and its analysis, and touching upon the importance of play as an anthropological focal point. The case study closes with a discussion of a notable shift in the narrative around Intel's child-focused product efforts, and the tangible outcomes of the research with respect to product development.